Brazil's new right-wing president, Jair Bolsonaro, signed a deal Monday to open a base to US satellite launches as he appealed for warm relations with US Donald Trump on a visit to Washington. The outspoken conservative, who will meet Trump at the White House later today, has ideological affinities with the US leader and has broken Brazilian precedent by heading to Washington, not Argentina, for his first official trip abroad. 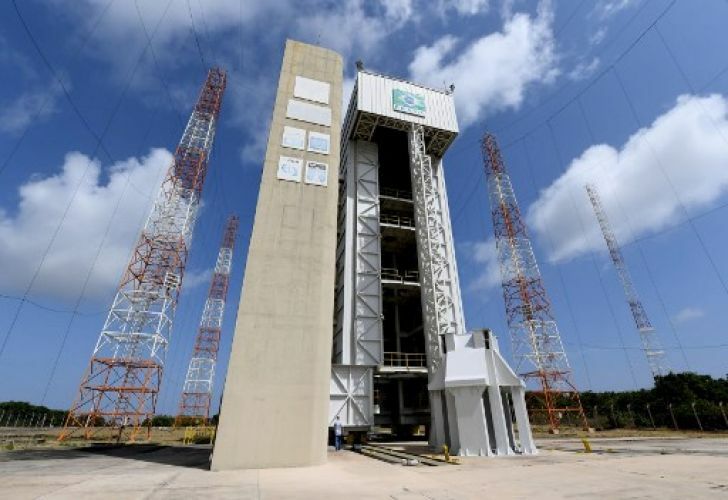 Promoting a business-friendly approach, Bolsonaro signed an agreement with US companies on technical safeguards to allow commercial satellite launches from the Alcantara base in the northern Brazilian state of Maranhão. Alcantara is an ideal location as it lies near the Equator, decreasing fuel needs by 30 percent. "We should be thanking God for the recent change of ideology in Brazil," Bolsonaro said at the US Chamber of Commerce. "We want to have a great Brazil, just like Trump wants to make America great." Brazil hopes it will take a slice of the multibillion-dollar launch market as it competes with the Kourou space centre in French Guiana. But the deal needs approval from the Brazilian Congress, which blocked a similar agreement by former president Fernando Henrique Cardoso on the grounds that the country would lose sovereignty to the United States. Bolsonaro, whose close ties to business and agricultural interests have frightened environmentalists, said he hoped for US investment beyond the space base. "In different areas, minerals, agriculture, biodiversity--we have immense biodiversity in the Amazon--we would very much like to have a partnership with this country that I admire," he said of the United States.